When the heat index is predicted to be dangerously high, New York City opens cooling centers in air-conditioned facilities to offer people relief from the heat, but since seagulls don't have access to such places, they have their own methods of getting relief from the heat, which is something I learned on a recent trip (this past Thursday) to Long Beach. 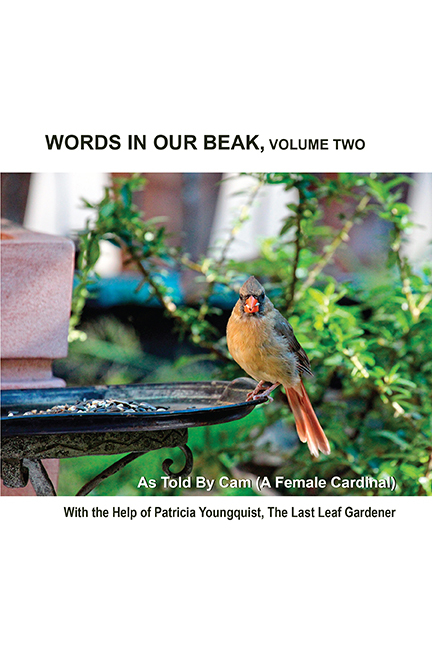 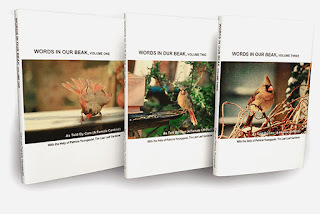 I had gone there in hopes of observing American Oystercatchers, a shorebird featured in volume two (ISBN 9780996378536)of my Words In Our Beak book series (pictured below) but there didn't seem to be any of them in sight. It was an extremely hot day, which may have been the reason for their absence, for I have encountered them during the days of August in bygone years. 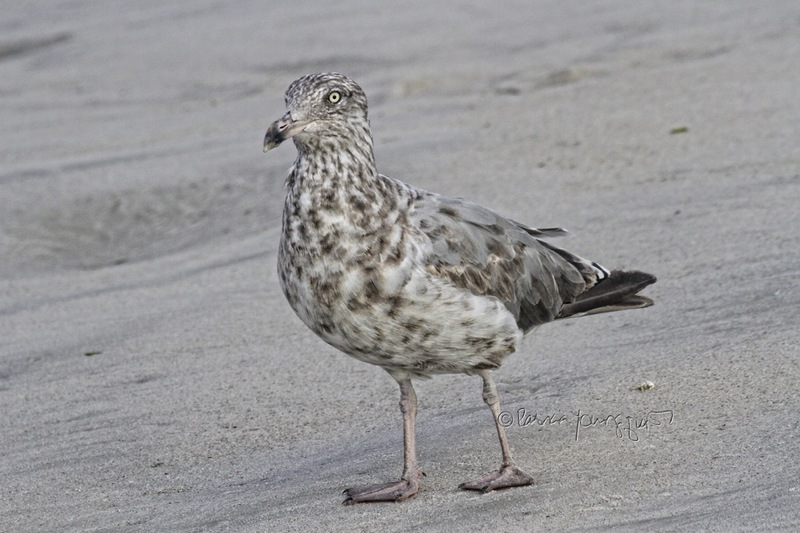 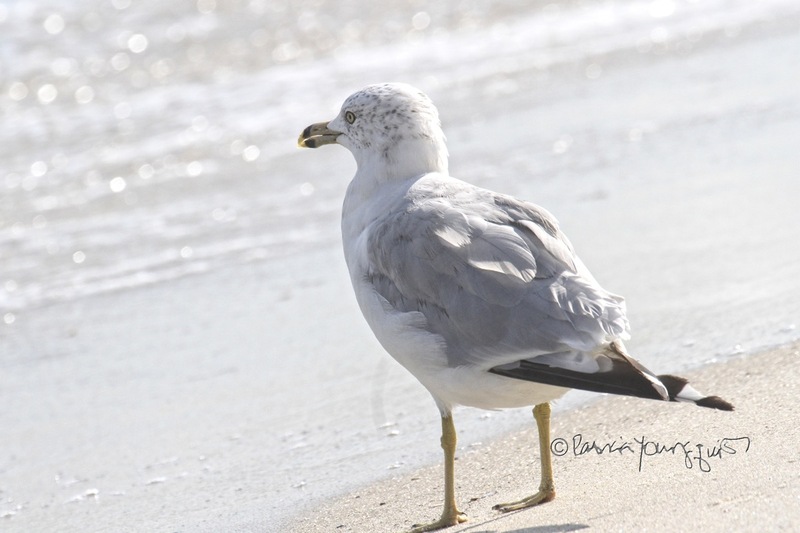 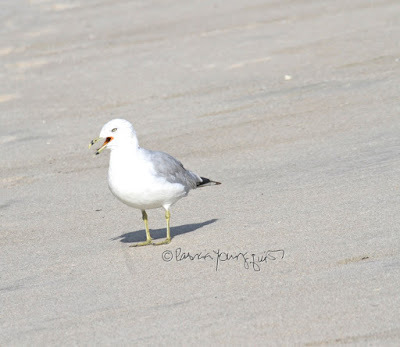 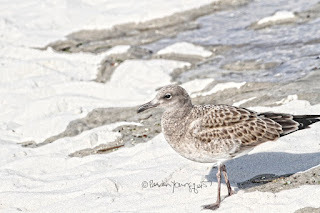 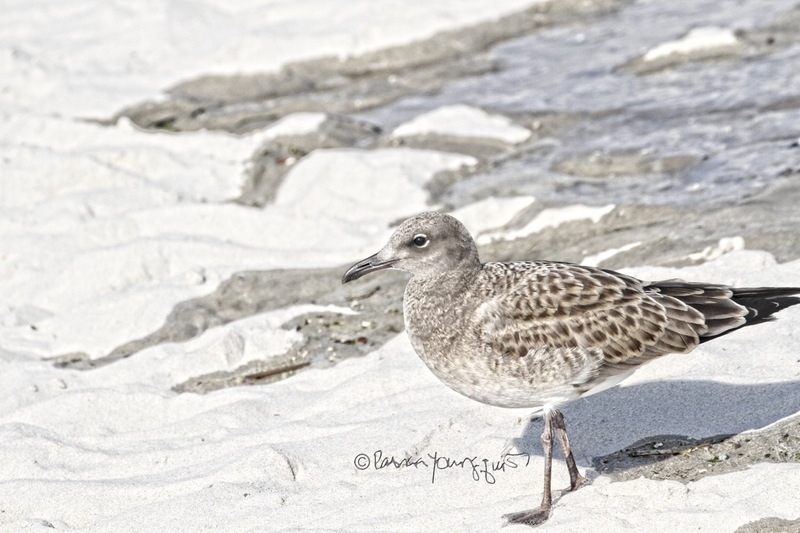 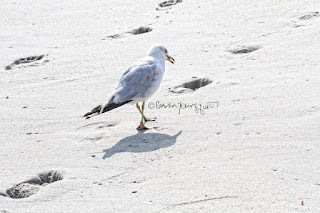 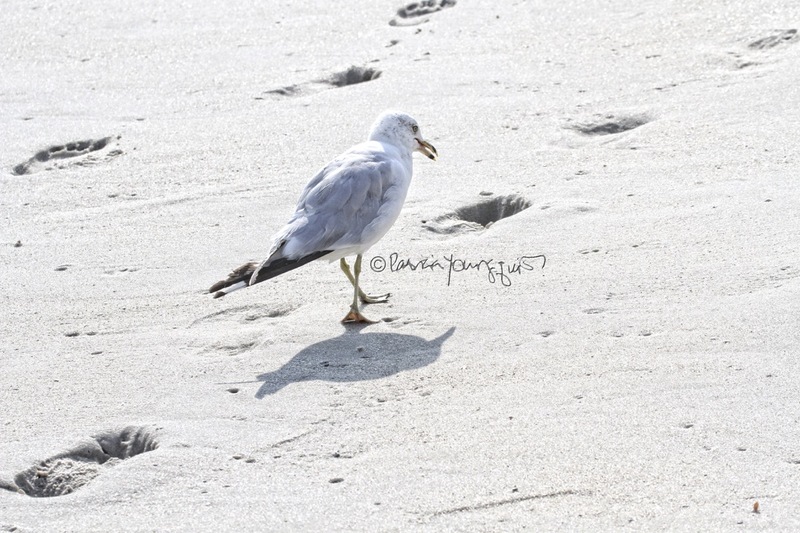 I'm not sure of this creature's ability to tolerate the heat, but I did notice (thanks to the long lens on my camera) that a ring-billed gull was standing on the sand with an open bill (as evidenced in the image atop this entry). At first I thought the bird was begging to be fed which is a habit of young birds (not adults such as the ones I saw) and, indeed that may have been part of the creature's motive, however, as I continued to see the gulls walking about with an open bill, I wondered what the reason for this could be. During my many trips to the beach and numerous encounters with seagulls, I'd never come upon this, so when I returned home I did some research and discovered that "they pant, like dogs which releases heat through evaporation of moisture along the bird's mouth, throat and lungs." Additionally, "because birds lack sweat glands, they do not sweat to cool off like we do. 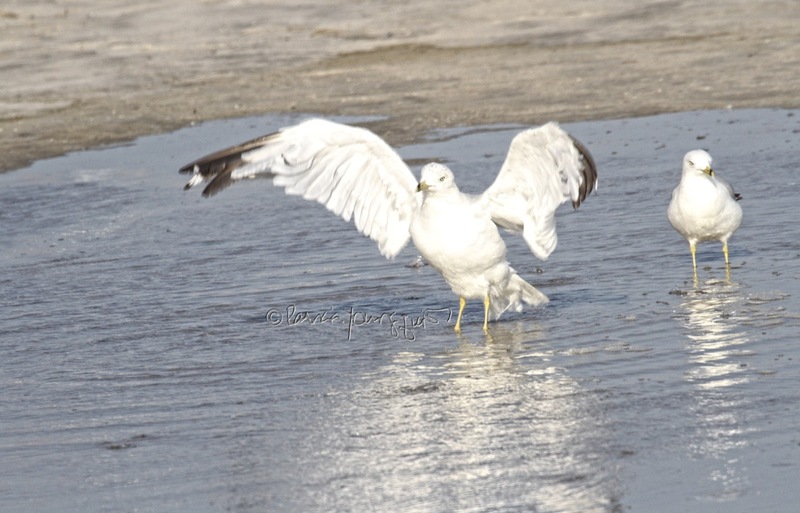 A bird will open its mouth and breath faster, which increases the airflow." 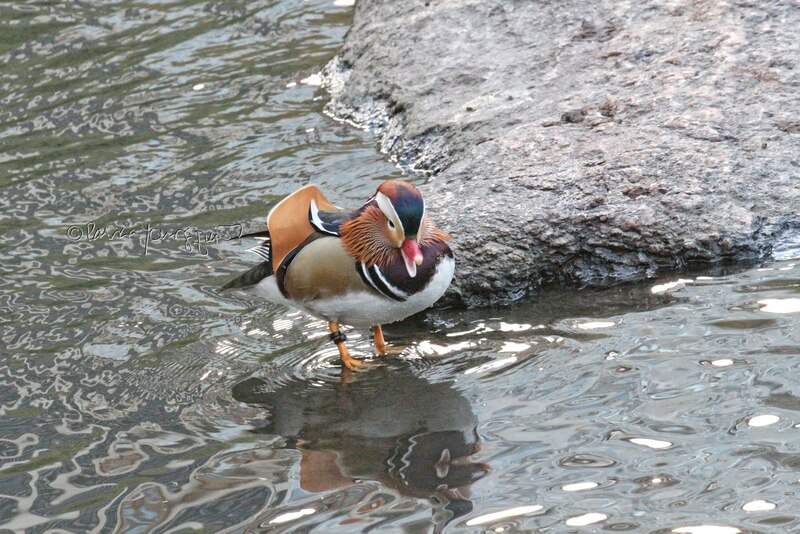 It seems another way this bird variety cools off is by "splashing around in the water to cool themselves" and by ruffling and raising "their body feathers so hot air close to the skin can escape" (as evidenced in the next picture). 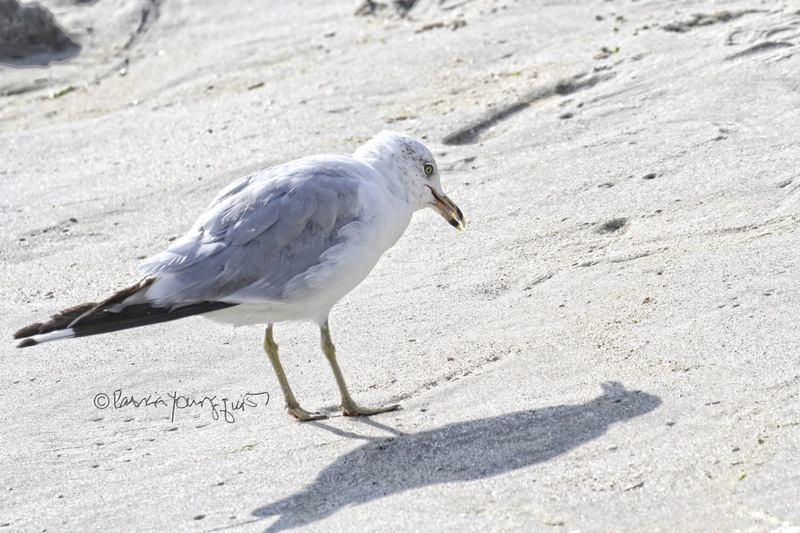 Birds with lighter plumage will face those light-colored feathers towards the sun to reflect heat away from their bodies, which seems to be what the adult and young seagulls are doing in the following set of pictures. 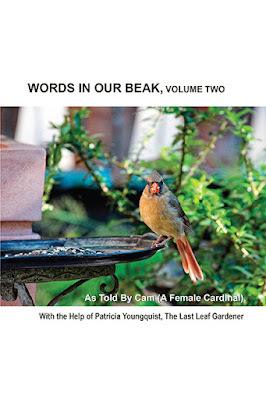 I continue to be awestruck by the survival skills that birds have under their wing.